The anticipation is over: Toyota’s new GT 86 sports car makes its world debut at the Tokyo motor show on November 30. The compact 2+2 model, one of the most keenly awaited new cars of the coming year, will go on sale in the UK in June 2012. The GT 86 has been conceived as an entirely driver-focused machine, designed to deliver the core qualities of the classic sports car experience. That means precise, instant response to the smallest throttle and steering inputs and the kind of performance that appeals to those for whom driving is a passion, not a necessity. The GT 86 is built on a new platform, with a highly aerodynamic bodyshell stretched tight over the car’s mechanical elements. Rather than fitting a heavy, large capacity powertrain, Toyota has opted instead to go back to its sporting roots, installing a compact, front-mounted, free-revving petrol engine that drives the rear wheels. 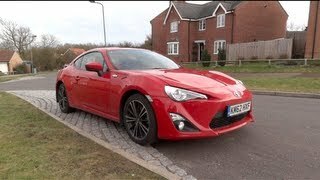 This four-cylinder “boxer” unit generates 197bhp at 7,000rpm and maximum torque of 205Nm at 6,600rpm, giving the GT 86 brisk, engaging performance. The powertrain is matched to the world’s most compact four-seat design to create a car that benefits from light weight, low inertia and a low centre of gravity to achieve the best possible power-to-weight ratio. For the driver that means lively, accessible performance and dynamic character with minimal intrusion from electronic systems. The GT 86 measures 4,240mm long, 1,285mm high and 2,570mm wide, dimensions which make it the most compact four-seater sports car available today. Both the powertrain and the driving position have been set as low and as far back as possible to achieve the best balance: the car has a near-perfect 53:47 front-to-rear weight distribution. The flat-four engine format and the driver’s hip point – the lowest of any current Toyota production model – together give the GT 86 an ultra-low centre of gravity, at just 475mm. 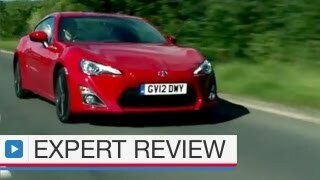 The GT 86 makes the most of a light kerb weight, making it easy for drivers to exploit its nimble handling and cornering poise. The suspension features MacPherson struts at the front and double wishbones at the rear. The car rides on 17-inch wheels and is fitted with ventilated disc brakes fore and aft. The GT 86’s engine is the result of a joint Toyota and Subaru development programme that brings together their technical know-how and mutual passion for sports cars. Toyota has added its D-4S injection technology to Subaru’s new, horizontally opposed, naturally aspirated 1,998cc four-cylinder boxer engine. This system features separate twin injectors for both direct and port injection, and a high 12.5:1 compression ratio, increasing power and torque across a wide range of engine speeds without sacrificing fuel efficiency and environmental performance. The flat-four engine has equal bore and stroke of 86.0mm and drives through either a six-speed manual or six-speed automatic transmission. The manual offers quick, precise shifts using a tactile, short-throw lever; the automatic transmission can be controlled using paddle shifts mounted on the steering wheel. Power is distributed to the rear wheels via a limited slip differential to give the best possible grip in all driving conditions. The ABS and switchable vehicle stability control systems have been tuned specifically to deliver dynamic stability at the limit of the car’s performance envelope with minimal electronic intervention to help preserve the purity of the driving experience. The design of the GT 86 successfully works within the technical constraints of achieving the most compact dimensions possible, a low centre of gravity and aerodynamic performance inspired by motorsport technology, while also displaying evocative, sweeping styling that recalls Toyota’s sports car heritage. Toyota’s new design language informs the styling, as in the way attention is focused on the lower part of the car with the large lower grille. Elsewhere the “keen” approach can be witnessed in the clear, expressive lines. The lower grille’s “scorpion” look gives the GT 86 a more powerful appearance, with further sporting details including the model-specific 17-inch alloy wheels, rear spoiler, twin exhausts and the “86” piston logo that denotes the car’s special powertrain configuration. On board, the ergonomics and function of every element the driver interacts with have been scrutinised to make driving the car as natural, instinctive and rewarding as possible. For example, the steering wheel has a 365mm diameter, making it the smallest ever fitted to a Toyota, and it is trimmed in buckskin, developed from exhaustive feedback from test drivers on how to achieve the best steering performance and grip. The three-meter instrument cluster is arranged around a large tachometer, its design benefiting from close attention to the positioning of the displays, markings and typeface. The result is the best possible visibility and readability. The driver-focus of the cockpit is further reinforced by the carbon-effect trim, all-black roof lining, red stitching on the upholstery, aviation-style rocker switches and lightweight, aluminium pedals. The GT 86 may be launched as the world’s only current sports car to feature a front-mounted, horizontally opposed engine and rear-wheel drive, but it cannot claim to be the first. That honour is held by Toyota’s two-cylinder boxer-engined Sports 800, which the company began developing in 1962. Since then, Toyota has established a long history of producing exciting, driver-focused sports cars with a front-engine, rear-wheel drive format that have proved as popular with the public as they have been successful in competition. The beautiful 2000 GT, a coupe powered by a 2.0-litre straight-six engine, was first displayed at the 1965 Tokyo motor show and helped establish Toyota’s global reputation as a sports car manufacturer. Launched in 1971, the first Celica models featured rear-wheel drive powertrains and were praised by enthusiasts for their agility. All four Supra generations came with straight-six engines and rear-wheel drive, while from 1984 the MR2 won recognition as one of the best handling sports cars in motoring history. 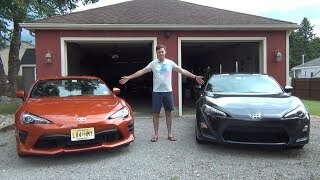 The inspiration for the GT 86, however, is the Corolla GT (or Levin) AE86, a car with an enduring reputation for delivering sheer excitement and capturing the fundamental joy of driving. Its front-engine, rear-wheel drive package, compact dimensions, light weight, impeccable balance and superior power-to-weight ratio made it a must-have choice for rallying and circuit driving throughout its production life, from 1983 to 1987. Here in the UK the GT claimed two British Touring Car Championship titles and a series of top-level rally victories. 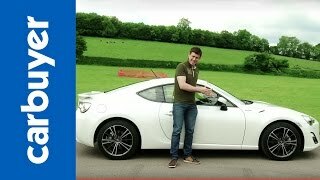 The GT 86 is a genuinely lightweight machine that offers the intimacy and involvement of a car that can be driven as though an extension of the driver’s body. In this way, it perfectly recaptures the exhilarating spirit of the last of the AE86. And, with numerous customisable parts, its shares its predecessor’s aim to be an affordable car that will evolve with its owner.